How to delete an OS/windows in Dual boot system through windows? Open Disk Management and find the partition that is marked “active”. That is the partition that contains the bootmgr. The active partition is usually from the OS that was on the system first – e.g. if you installedWindows 7 on an XP system, the XP system would be the active partition. But there are also other cases. If Windows 7 was the first OS on the system, then your bootmgr resides most likely in a separatesystem partition which is usually small. If you installed Windows 7 as first OS to a disk that was not attached to the Sata port0, it can very well be that the bootmgr resides on an arbitrary partition on the disk that is attached to port0. If you have e.g. a Dell system, your bootmgr may be on the recovery partition. Other OEMs may do the same, but I was not able to verify that. This is the example of my current system. Note the two last partitions which are Windows 7 and Windows 8. The Windows 7 partition is marked as active. You also see that I have no small system partition because I have eliminated that partition after I moved the bootmgr from that small system partition to the Windows 7 partition. If I would delete the Windows 7 partition, my Windows 8 would not boot any more because it would have lost it’s bootmgr that is in cohabitation with the Windows7 bootmgr. In order to avoid such an unfortunate situation, we launch the system that we want to retain and move the bootmgr to that system’s OS partition. Here is how. Stay in the OS that you want to keep and open Disk Management. Right click on the partition that contains the OS you want to delete and Delete Volume. Then right click on the deleted volume and Delete Partition. Now you should have “Freespace” where this partition originally was. With Disk Management, you can define a new partition in that freespace or you can add it to the partition that shows to the left of that freespce. Just click on the partition which is to the left and Extend Volume. If, however, you want to add that freespace to a partition that is to the right of the freespace, then you have to use an external tool. I suggest the bootable CD of Partition Wizard. Here is how. A word of caution: before you manipulate partitions with Partition Wizard, make an image of all partitions on that disk. I once lost all my partitions on a disk because I made a small mistake manipulating one partition with Partition Wizard. For imaging I recommend Free Macrium. Here is how. Now that we removed one OS, we have a surplus entry in the bootmgr. We will remove this entry with EasyBCD. As you can see in the picture, the operation takes only 4 clicks. 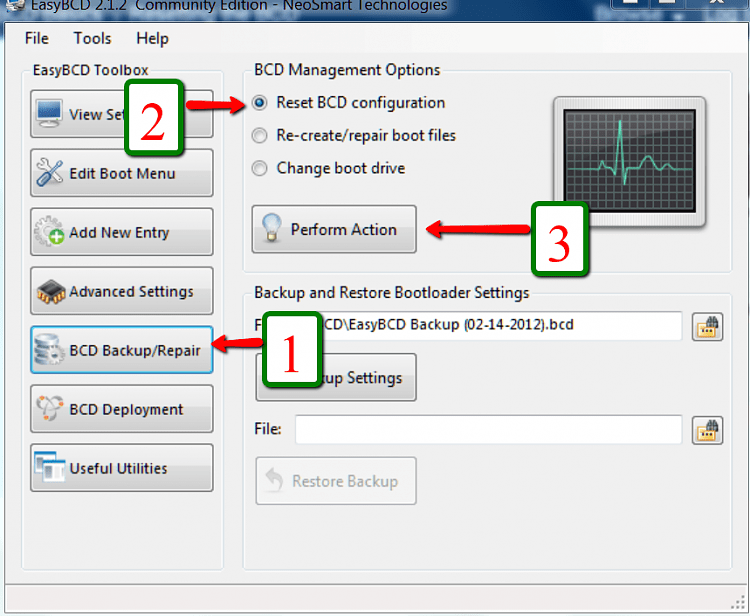 EasyBCD is a very handy tool for a variety of operations on the bootmgr. You should have that in your toolkit anyhow. If you stop at this step, the MBR is still in a double boot configuration and when you boot, the BIOS will present you the black screen where you have to choose the operating sytem – although only one operating system is present. This is not a disaster, but it is an unnecessary step that requires your intervention. The next two steps will reset the MBR to your current OS and then your system will automatically boot into that. Important: You absolutely have to execute both Steps 4 and Step 5. If you only do Step 4, your system will not boot any more. This program monitors changes to the system during installations, allowing you to perform a full uninstall of programs that leaves traces; quite a number of programs does not uninstall completely, leaving scars all over the system. It is particularly useful for people who install / uninstall lots of programs frequently. Anonym.OS LiveCD is a bootable live CD based on OpenBSD operating system, providing a hardened environment whereby all ingress traffic is denied and all egress traffic is automatically and transparently encrypted and/or anonymized. 7-Zip is an archive manager for 7z, ZIP, GZIP, BZIP2, and TAR (packing and unpacking) and RAR, CAB, ISO, ARJ, LZH, CHM, Z, CPIO, RPM, DEB, and NSIS (unpacking only) file formats. This is another powerful archive manager, with a wide support of formats, including 7-ZIP, A, ACE, ARC, ARJ, B64, BH, BIN, BZ2, BZA, C2D, CAB, CDI, CPIO, DEB, ENC, GCA, GZ, GZA, HA, IMG, ISO, JAR, LHA, LIB, LZH, MDF, MBF, MIM, NRG, PAK, PDI, PK3, RAR, RPM, TAR, TAZ, TBZ, TGZ, TZ, UUE, WAR, XXE, YZ1, Z, ZIP, ZOO. DriveImageXML is a program for backup and imaging of partitions and drives. It is also available as a plugin for the BartPE or Ultimate Boot CD for Windows live bootable CDs. Replicator is a utility that allows you to automatically backup files, folders and drives. It allows to set a schedule for your updates, define an ignore list and more. Furthermore, Karen has a long list of useful applications, called Power Tools. You can find them on Karen’s site. Firefox is an open-source browser, available for both Windows, Linux and Mac. It is stable, robust, secure, and highly customizable, with more than 700 extensions. You can find about all the possible extensions at Mozilla Firefox Add-Ons. Of course, there are many other extensions, like mouse gestures, password generators, anti-phishing, anti-spoofing, FTP, and tons more – feel free to explore. This is another open-source Gecko-based browser. It is very light and fast and will probably offer better experience on low-end machines than other browsers. Opera is yet another solid browser. Like Firefox, it is available for the three major desktop OSes. It is mature, fast and includes a BitTorrent and a mail client. It is also the most compliant browser by W3C standards. CDBurnerXP Pro is a free burning solution. It will burn CD-R, CD-RW, DVD+R/RW, and DVD-R/RW discs. InfraRecorder is another easy-to-use burning software for Windows, allowing you to copy discs, burn images, blank rewritable discs, and more. MD5Summer is a Windows MD5 sum generator, allowing you to verify the integrity of downloaded files or burned isos. Please be extra careful when downloading codecs. To the best of my knowledge, this site has a large collection of available audio and video codecs. Although not programs in the strictest of terms, the codec packages often contain miscellaneous tools like media players and converters. You should probably choose either K-Lite Codec Pack or XP Codec Pack. nLite is a deployment tool for unattended installation of Windows. Furthermore, nLite is a customization tool, which allows you to remove certain Windows components from the installation, add drivers and patches and tweak a variety of configurations. It can be used to build your own custom install CDs as well as learn the functionality of the Windows operating system in greater depth. Eclipse is an extensible IDE that allows easy development of C++ and Java applications. It has a wide range of plugins that can be used with it. HDD Health is a program intended to monitor hard drives and predict their failures. This tool monitor the temperature of the hard drives and can prevent overheating and data loss. Memtest86 is a memory diagnostics tool. It needs to be run from a floppy disk or a CD before the operating system boots. This program will monitor fan speeds, voltages and temperatures of hardware components in computers with monitor chips. It is a tool designed for a power user and should not be used in vain. Just like CT scans are not performed on every patient with headache, you should consider using it if you think there might be a problem with your hardware. Note: Most hardware vendors offer a variety of diagnostic tools for their products. For instance, all major hard drive manufacturers also offer small diagnostic utilities for examining the disks. Please refer to relevant vendors’ sites if you want to download and use these utilities. Most often, they will need to be run from a floppy disk of a CD. DOSBox is an x86 PC emulator, complete with graphics, sound, mouse, and modem, allowing you to run old DOS-based games that are no longer supported by modern operating systems. QEMU is an open-source processor emulator. It requires some knowledge to be fully utilized. Nevertheless, it can be useful for creating virtual hard drives, for example. Eraser is a secure deletion tool, allowing you to completely wipe information off your hard drives. freeCommander is an alternative to the standard Windows Explorer. It will also run from a USB stick and is one of the many tools included in the Ultimate Boot CD for Windows (see below under Live CDs). FileZilla is a fast, open-source FTP client. GIMP is a powerful, comprehensive image manipulation program. Like most open-source software, it is also available for Linux and MacOSX. GIMP offers an extremely wide range of tools for graphic editing of images. It requires extensive knowledge to be fully utilized – however the possibilities are virtually limitless. The program requires a GTK runtime environment to be installed. GIMP is also available in a version similar to Adobe Photoshop, called GIMPShop. This programs allows you to quickly manipulate batches of images, by converting their format or color map, resizing them, or rotating them. It is very handy for people who frequently have to manipulate lots of pictures. ScreenshotCaptor is a very handy program for taking screenshots. Unlike the standard commands, Alt + PrintScrn or PrintScrn, it allows you to take screenshots in different file formats, automatically save them to a folder rather than clipboard, schedule operations, and more. It is also capable of taking screenshots of regions or full content of partially hidden windows. IrfanView is a very light, very fast and extremely powerful viewer. It includes a media player and also has some very neat editing features. A range of plugins is available. This is yet another open-source, cross-platform software. Like all open-source projects, it is light, fast and clean. GAIM is a multi-protocol client and will allow you to connect to several networks, without using several (often) bloated and unneeded IM programs. GAIM supports AIM, ICQ, MSN, Yahoo!, IRC, Jabber, Gadu-Gadu, Silc, GroupWise, SameTime, and Zephyr networks. Although not strictly necessary for everyday home computing, Java is used in the design of some web pages and a runtime environment will have to be installed on your PC before you will be able to view them. Sun Java offers a solid and secure Java engine. Additionally, development tools for programmers or hobbyist seeking to learn Java are available. The home user usually needs only the Java Runtime Environment (JRE). It is also advisable to remove the default Microsoft Java Virtual Machine (MSJVM), which has been known for a number of security holes. Windows XP SP2 removes the machine during the installation, but you might want to run a separate uninstaller. MSJVM Removal Tool can be downloaded from MajorGeeks. Bart’s PE Builder allows you to build customized bootable live Windows CDs. Bart’s PE Builder offers a range of useful utilities, including system diagnostics and recovery, hardware inspection, and more. It is an ideal tool for rescue operations and offers a familiar interface to Windows users who might have qualms about using Linux-based live CDs. 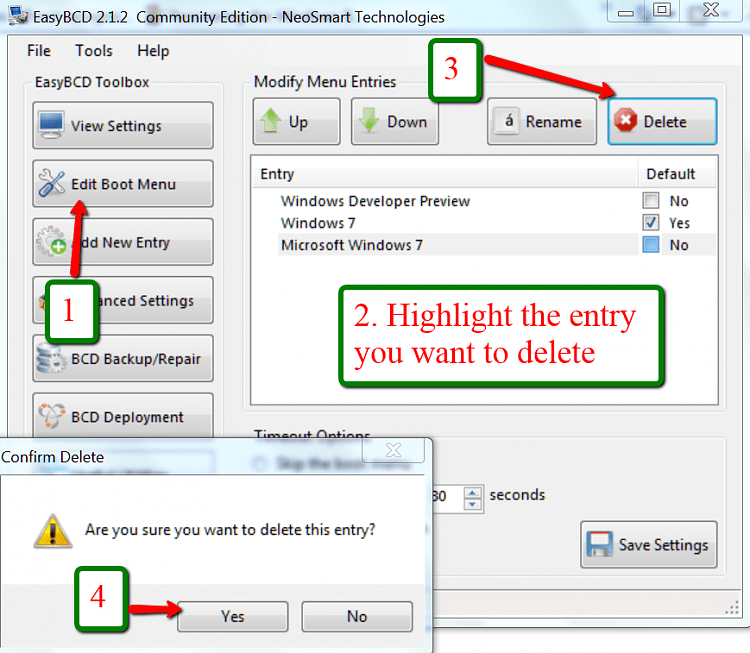 For details and instructions, please refer to my article How to create a bootable live Windows CD. Note: You should burn a separate stand-alone bootable CD containing only the BartPE environment. Knoppix is a Linux bootable CD or DVD. Although not strictly a Windows utility, Knoppix is famous for a very good hardware support, that is if you have problems with the detection of a hardware component like the sound card or a graphic card, you’re most likely to start solving the problem booted with Knoppix. It can also function as a rescue disc, a backup tool, a safe browsing platform, or a great tool for learning Linux. This is one of the most important tools a Windows user can have. Like Bart’s PE Builder, UBCD4WIN is a story unto itself. It is not just one program, it is a complete bootable Windows kernel, packaged with tens of useful utilities in a range of categories. UBCD4Win PE Builder is based on Bart’s PE Builder. Nevertheless, UBCD4WIN offers a much greater range of available tools. You can also add your own plugins. Among offered tools are 7-Zip, a43, Ad-Aware SE, Agent Ransack, AVPersonal, BGInfo, CPU Bench, CWShredder, DeepBurner, Dirms, Disk Copy, Disk Image, Disk Wipe, Eraser, ERUNT, Explore2fs, ExplorerXP, File Recovery, FileZilla, Firefox, Floppy Repair, freeCommander, Free Undelete, HD Cleaner, HDTune, HijackThis, IPScan, IZArc, MaxBlast, MemTest, MbrFix, MBRWiz, P95, PasswordPro, PDF Reader, Popcorn, PPPOEXP, Putty, R-Linux, RecoveryManager, RegCleaner, Scribe, SmallCD, Stinger, Sysclean, UltraVNC, xplorer2, WinDLG, and many more. For a complete list, you might want to refer to the List of Tools. 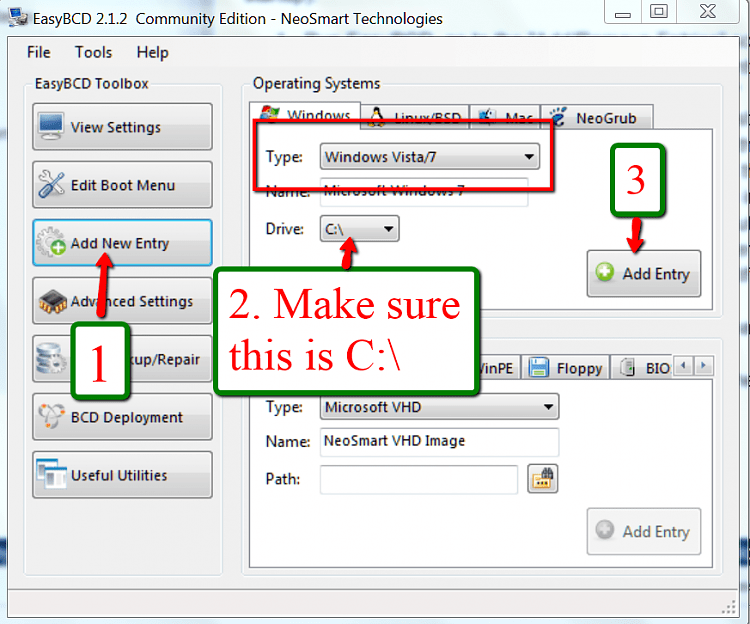 For details and instructions, please refer to my article How to create a bootable live Windows CD. Note: You should burn a separate stand-alone bootable CD containing only the UBCD4WIN environment. Mozilla Thunderbird is a good alternative to default Outlook Express or Outlook clients. It is secure, fast, has a very good content filter, and can be customized with extensions (like Firefox). There are more than 100 available extensions for Thunderbird. CCleaner (the first C stands for Crap) is a system optimization and privacy tool. It allows you to clean browser caches, delete cookies, remove corrupted or unusedfiles and erase tracks of your online activities. It also has the ability to clean leftover registry keys and values – use at your own discretion. Important: Due to a recent doubt that the latest version of CCleaner (1.34.407) might cause problems with networking and/or Internet connection when used for routine cleaning at the default settings, I must exclude it from the list of recommended software for the time being. I will keep you updated. Note: I cannot recommend a free registry cleaner. There is a number of available tools, all of which will do a good job. But none excellent. Audacity is a cross-platform sound editor, allowing you to edit and record audio files. It also has a number of plugins available, including LAME mp3 encoder. VirtualDub is a very powerful video processing utility. This is an open-source, cross-platform player, with a large number of supported media formats. WinAmp is a highly customizable media player, with a range of available skins and plugins (including a Karaoke plugin). It also supports a range of file formats. AbiWord is an open-source lightweight word processor, and a good replacement for Wordpad. Open Office is an open-source, multi-platform, multi-language, complete office suite that is a solid substitute for the standard Microsoft Office package. The suite offers the same range of applications, including a word processor, a spreadsheet, a presentation tool, a graphic package, a mathematical equation editor, and a database tool. GParted is a Gnome Partition Editor. Although Linux-based, it fully supports the NTFS file system. It runs from a CD. Foxit is a fast, light PDF reader and printer. PDFCreator allows you to create PDF documents; it is used like a printer from any Windows application. eMule is an open-source project. It supports several networks, is rather robust and has good security; it can be run as an unprivileged user. The above link leads to a family of portable applications, including 7-Zip, AbiWord, Audacity, ClamWin, Firefox, Open Office, Nvu, Thunderbird, and more. All of these can be run from a USB stick. Like Opera browser, with the benefit of being able to run from a USB stick. FeedReader is a lightweight RSS and ATOM aggregator. This little utility allows you to run programs with limited privileges while logged in as the Administrator. It can be useful for neutering the potential hazard of online activities by reducing the rights of Internet-dependent programs like browsers, mail client, P2P software etc. SnoopFree will allow to you to prevent certain applications from watching your screen or monitoring your keyboard strokes. Programs with shortcuts, certain games or other software might need to exercise these activities to function properly, therefore be careful when denying (or permitting) access to your screen and keyboard. I cannot recommend any anti-rootkit tools. These tools require a fair knowledge of system calls to properly interpret. For most people, reading the scan logs will be a complete and utter mystery with counterproductive results – confusion, fear, paranoia. Ad-Aware is an on-demand anti-spyware scanner. It can also search for Alternate Data Streams. This tool is a handy on-demand scanner. It also includes the immunization feature for Internet Explorer and Opera browsers, as well as a registry monitor called TeaTimer. SuperAntiSpyware is a lightweight anti-spyware solution with very good detection and (even more importantly) removal capabilities. While the free version lacks real-time protection or automatic updates, it is still a very handy addition to one’s security arsenal. The free version of A2 is a solid on-demand scanner, mainly useful against trojans, although the definition is becoming more blurred every day. A2 complements nicely with Ewido. Ewido Security Suite can be classified as anti-spyware, although the program was born to fight trojans and it excels in this more than other types of malware. The free version is a solid, on-demand scanner. avast! anti-virus is a free product, with a resident shield and an on-demand scanner. AVG offers a free, real-time anti-virus, which includes scheduling, automatic update and email scanning. This is an open-source on-demand virus scanner. Firefox users can install this extension in order to scan remote links before downloading them. This offers the user the benefits of another powerful anti-virus engine without actually running it on his / her own machine. Similar although slightly different than Dr.Web extension, the Kaspersky scanner is installed as an ActiveX and runs with a web interface. Claimed as one of the better anti-virii in terms of detection, this plugins offers another layer of protection for Windows users. AxCrypt is a file encryption software, allowing to protect your files and folders. TrueCrypt is an open-source disk encryption software, which allows you to encrypt entire partitions, hard disks or USB sticks. Comodo is a nice firewall for the average user. The free version of this program offers a very thorough security solution for the Windows users. It is very easy to configure and use. In addition to the basic firewall functions, the programs also has some HIPS ability. Although discontinued, I think this was and is the best free firewall for Windows available. It can be still found at a few sites, like Tucows. ZoneAlarm is one of the more popular firewalls, because it has a very simple interface and is easy to use. It is recommended for a beginner user. If you are using Internet Explorer to surf, you could benefit from this tool. It will insert a blacklist of sites into the Internet Explorer’s Restricted Sites zone. PeerGuardian is an IP blocker and will work well in conjunction with firewalls and P2P software. It allows you to block whole ranges of IPs, including known advertisement, education, government, P2P, or spyware addresses. Proxomitron is a very powerful web filtering proxy. Properly configured, it can be used to clean the web pages of advertisements, exploits, nags, or just about anything. It has the similar impact to a number of Firefox extensions combined, except that it will function for all browsers rather than just Firefox. Recommended filter packages are Grypen, JD5000 andSidki. This is a detailed system analysis tool, mainly intended to help user prevent infections by malware. It can be used to monitor BHOs, DLLs, LSPs, services, the Hosts file, and more. Autoruns is a startup monitor, allowing to closely inspect the status of your system during bootup and login. I do not recommend it to an average user. Filemon allows you to monitor system file activity in real time. HijackThis is intended to remove malware infections like browser hijackers. Nevertheless, it also functions as a diagnostics tool since it allows you to inspect your system, including services, BHOs, Winlogon entries, items that run at startup, and more. Using this tool requires caution and expertise. Malpractice can render your system unbootable. This tool allows you to monitor the connections your computer establishes with the world. Interpreting the results requires some advanced knowledge. You can think of ProcessExplorer as a boosted version of the Task Manager, with some fancy extras. I do not recommend it to an average user. Regmon allows you to monitor utilities accessing the registry in real time. This tool allows to list all startup entries on your system. Just like ProcessExplorer is a Rambo Task Manager, so is StartupList a Rocky msconfig. TCPView allows you to monitor TCP and UDP connections on your system. Note: Sysinternals have a huge choice of excellent utilities. You should definitely visit there. VMware offers a range of virtualization products. The Player and Server are excellent tools for experimenting with new software, other operating systems, for education, safe browsing, and more. For details and information, you can read my article on the subject. In my opinion, the above list is more than enough to keep you busy for a few weeks. When referring to the (sweet) package, I mean all of the above. Below is a compilation of other suggested links, general information and advices that can come handy. However, it is up to you to sift through the massive amount of data and decide what suits you best. Acrobat Reader – the most popular PDF reader. Belarc Advisor – a PC audit tool. BitDefender Free anti-virus – an on-demand anti-virus scanner with automatic update and schedule scan options. EULAyzer – a tool for inspection of license agreements. Microsoft Baseline Security Analyzer – a Windows audit tool. Notepad++ – an open-source code editor and Notepad alternative. PageDefrag – this tool allows you to defragment page files and registry hives. Winpatrol – a multipurpose security monitor. Below is the list of programs that you, readers, have suggested. Please note that the recommendations meet the following criteria: I am aware of the existence of the software and have used it (or at least tested). Clean, free, simple yet effective. Did not aggravate me personally in my history of computing. Preferably suggested by a member of a respectable forum. Take no offense if certain programs are not listed here. It does not mean they’re bad; it just means that I, a human of particular taste, do not think they fit in the existing context. Elsewise, it might take me some time to go through the long list of suggested programs, so have patience. Thanks to the following people for their suggestions: Ben, Devinco, djg05, dog, goldengreek, iceni60, Notok, nossirah, roger_m, Tommy, WSFuser, a few other souls who wish to remain Tor … I mean anonymous. aMule – an open-source cross-platform eMule-like P2P software; quite useful for people running dual OS machines. Antivir – a rather popular anti-virus, which can be used instead of other suggested solutions; the free version does not have an email scanner, though. Azureus – an open-source P2P client implementing BitTorrent protocol; it is based on Java and will run on any machine with Java Runtime Environment. CDex – an open-source tool for ripping MP3 files. Enigmail – an extension for Mozilla Thunderbird, allowing users to access the authentication and encryption features provided by GnuPG. GnuPG – an open-source project that allows you to encrypt your data and communications; Windows users might also want to check Gpg4win, email security specially oriented for Windows environment. HDTune – a diagnostics tool for inspection of hard drives. K9 – an anti-spam filter for POP3 mail accounts. KeePass – an open-source password manager. Lightning – Sunbird extension for Mozilla Thunderbird. Media Player Classic – a light, open-source media player that supports a wide range of formats. Privoxy – a web-filtering proxy akin to Proxomitron. It is aimed at protecting privacy and removing web annoyances. Shareaza – an open-source P2P software that supports BT, ED2K, Gnutella, and G2 networks. Sunbird – an open-source cross-platform calendar application (also available as a portable application). Tor – an anonymizing proxy that can be used to ensure a high level of privacy while online; the use of a chain of proxy servers and the necessary encryption of traffic will cause a slowdown in the Internet speed. Wireshark – an open-source, multi-platform network protocol analyzer; it is very powerful but is not aimed at the beginners or even intermediate users. XnView – a graphic and photo viewer similar to IrfanView. xplorer2 – a file manager similar to freeCommander; another potential replacement for the Windows Explorer. Internet is loaded with tools intended to keep a sinful user from hurting himself. I find this approach to be misplaced. It is akin to giving a helmet to a person who likes to bang his head against the wall. Gullibility can be countered with nothing but a bit of logic. Do you honestly think your bank will ask you to confirm your password through an email? Do you read garbage emails that drop into your inbox? If the answer is yes, to either of the questions, some attitude changes are needed. You do not need special tools to tell you that a site you go to is bad. The rules are simple: you are not sure if the site is bad, it’s bad; the link came in an email you did not expect, it’s bad; you were directed to a site you did not expect, it’s bad. If you’re receiving spam, there are two likely reasons: You have submitted your email somewhere. You are on a friend’s mailing list and your friend is not exactly the hacker material. Make dedicated email addresses for dedicated spam use. Imagine if it were that simple in life – a room where you could store away all uninvited, unwanted family members. Do you often download screensavers from the Internet? Do you click on files with funny extensions like .scr and .pif in emails titled Re: your website, when you do not even have a website? If not, you are probably OK.
I’m against it. If you like tweaking, you should switch to Linux. Linux is one big tweak. Windows is supposed to run as it is, and it will not like you if you tamper too much. Many times, people disable certain options in their setup without being fully aware of possible consequences. Then, many months later they are faced with a problem they cannot solve, not realizing it is rooted in a complex web of tweaks they can no longer remember, let alone undo. My motto is: don’t poke into open wounds, don’t pick on scabs. If your system works, let it be. If your operating system is not working well, upgrade your hardware. Most tweaking guides assume you’re a single user, with no printer, no other computers connected to your home network, no file sharing, no gaming, and a whole lot more no-nos. If you’re that much afraid of the Windows, then you should choose a more inherently secure operating system. Full functionality and a fair sense of security-enjoyment can be achieved without barricading your PC. This is a myth. Using software that runs in the memory to boost memory. If you want a good analogy, it is similar to lifting yourself up in the air, kind of contradictory to the Second Law of Thermodynamics. If your memory does not please you, test it or buy extra sticks. If you do not have a sufficient knowledge of what TCP/IP stack is and how it works, you should not meddle. If your Internet is slow, upgrade the line. There is little reason to disable services. If you fear being hacked, use a firewall or switch to Linux. If your system is sluggish and programs take a lot of time to load, maybe you should consider a better CPU and more RAM. An extra 512MB of RAM will make your machine work much faster than any number of disabled services. One or two services might be OK, but a compulsive crippling of the system is not the best doctrine. Although this sounds innocent, it ain’t. First, you will unnecessarily hog your system with potentially incompatible styles. Second, you will be tempted to download free packages, often containing lots of bundled surprises. The relationship between programs and associated DLLs is usually more complicated than it seems. You could innocently remove a DLL only to lament a lack of functionality in a completely unconcerned program months later. Disclaimer #2: I have NOT personally tested each and every application at the below sites. I cannot guarantee their quality. Treat the below links as a good reference point from which you may expand your searches. Linking to online repositories of drivers is against my computer religion. It is similar to prescribing medications. The procedure must be exact. On one machine, a driver can do miracles. On another, it can undo them. Do not be tempted to flash your BIOS just to have the latest version; you might end with an unbootable system. Do not be tempted to upgrade your drivers only because a new patch has been released. If it ain’t fixed, don’t broke it. If you do intend to update the drivers, BACKUP your personal data first, make sure you have a Windows installation disc and license key ready, make sure you can boot from a CD, make sure you understand what needs to be done and know how to follow the instructions. Always download ONLY the official drivers from their vendors’ sites. Always make sure you know who to contact (support email, forum etc.) if something goes wrong. Never ever EVER install drivers when it’s stormy outside. It is very tempting to run everything AT ONCE. Some people like control – unfortunately too much. I know people who run several different types of port monitors, startup monitors, registry watchers, hardware inspectors, and other little gadgets that grant a greater view of things. I think this is the wrong way to befriend computers. Computers are better at processing information than the human mind. By competing in numbers against a machine, we are waging a losing battle. We cannot efficiently maintain an all-out vigilance of everything that happens inside an operating system. Even when extremely peaceful, a typical Windows setup runs about 1,000 processes simultaneously, most of which are invisible to the user. Running programs that can display long lists of system calls can be a nice hobby, but it can also be very frustrating and exhausting for an average man looking for security and stability. Going through a list like the one above can be daunting. Even alarming. The best course of action is to evaluate the list and filter our applications that you are most likely never to use. And then, master the remaining package slowly, gradually, learning the strong and the weak points of each program, according to YOUR needs and tastes. There is no need to run three hard disk monitors at the same time. You think your hard disk is going to die? Replace it. Backup your data. Two monitors will not keep it healthy. On the contrary, they will burden the system more and probably speed up its death. You wish to control your programs startup. You think there are programs that are running out of control and needed to be reined in. Ask yourself why are they installed in the first place? Do you really need them? Do you think your system has been compromised? In that case, could there be perhaps a better course of action than an erratic attempt to douse a fire that cannot be extinguished. You wish to control the registry. You want to know what happens. Well, if things are happening that you do not quite understand, then monitoring the heart of this mess is not going to help. Knowing things can be OK. But if you strongly suspect programs of doing things behind your back, do you honestly think such programs should continue to reside on your hard disk? In other words, relax. Burn the CD. Keep it somewhere dry and cool. Let it be an emergency package that you might never need to use. Once in a while, when a need arises for a program that could be useful, go through the list, see if there is something that might interest you. You don’t need encryption software if you never encrypt your files. You do not need an FTP client or a mail client if you never upload files to the web or only read webmail. If you do not download movies or music, you do not need a P2P client. As a popular saying goes, never wear two sweaters at once – dunno, just made that one up. Take it easy.